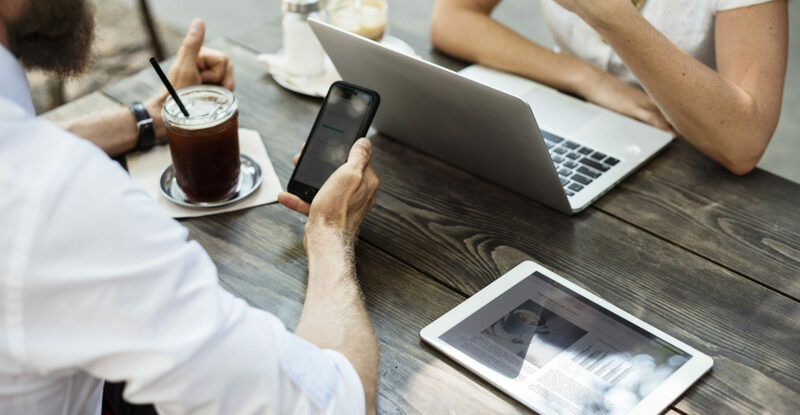 Here are the new Google search features that we spotted in July and what it could mean for your brand. 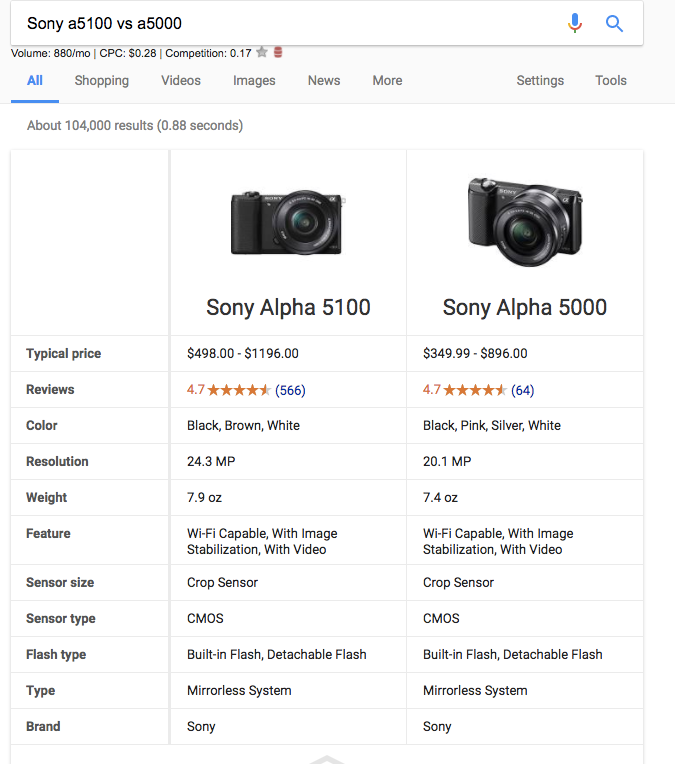 In early July, a Seer team member spotted this enhanced knowledge panel for the query “sony a5100 vs a5000”. This result featured a comparison table for the two cameras with product specs presented in a digestible and easy-to-read table. Though we’ve seen table-style answer boxes before, this is the first time it’s appeared for a direct product comparison. This result was originally identified on July 1st and was available on desktop only. 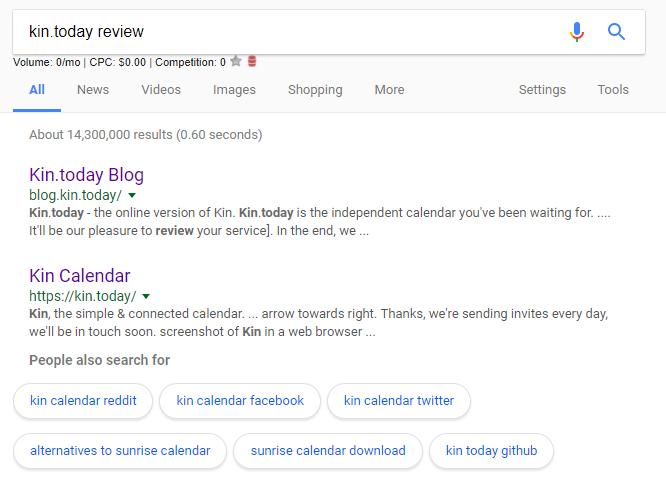 However, by the time I wrote this article, this unique SERP had been replaced with more standard sponsored shopping results followed by a paragraph-style feature snippet. What does this mean? We haven’t seen any articles written about this new feature nor announcements made by Google about relevant updates. However, if this feature sticks, we may see it appear for other comparison and “vs.” queries. It could also signal Google valuing “vs.” queries from a visual standpoint. We first spotted this new twist on ‘People Also Search For’ results on July 6th. This new section appeared after a team member clicked on the first result for her query and then quickly bounced back to the SERP. This feature populated immediately under the result she had first clicked and was limited to desktop queries. We saw this feature appear for a number of queries, ranging from “twitter marketing news” to “kin.today review”. However, at the time this article was written, we were unable to trigger the same feature again for either query. What does this mean? We haven’t seen anything written on this specific variation of the ‘People Also Search For’ feature, but we do know that Google is constantly testing similar features among its users. It remains to be seen which of these features stick, but regardless, “People Also Search For” continues to offer endless insights into user intent and Google’s efforts to improve user experience. Just when you thought SEO couldn’t get any more confusing, Google adds a new search feature within a SERP feature. What?! 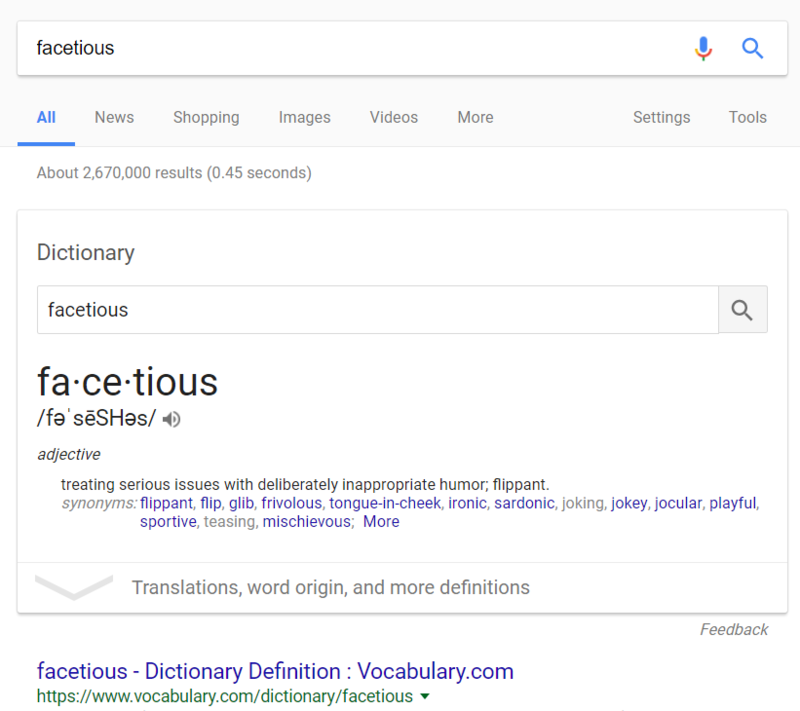 Our team first spotted this new feature on July 12th for the query “facetious”. It now seems to be applying universally to dictionary boxes on desktop searches, though it has not yet appeared on mobile. Search Engine Journal, Android Police, and others have all chronicled other instances for this particularly meta update as well. Dictionary box results are otherwise unchanged, with definitions appearing immediately underneath the search box, plus a dropdown that provides users with the word’s etymology, translation options, and historical use. This enhanced search suggestion appears for queries that could have multiple meanings with very different user intents. We first noticed it on July 26th for the query “jaguar”, but have since seen it for “birmingham”, “barcelona”, “frontier”, and more. As of our writing this article, this feature is still live for each of those searches. This update could have a notable impact on high-volume keywords that have multiple meanings, but should yield more relevant results for users and perhaps higher clickthrough rates for sites that do appear for these newly targeted queries. What does this mean? We haven’t seen any other industry news about this new update. However, this feature does follow two other noteworthy updates to Google’s search bar – the end of Google Instant and new feedback and reporting options for its autocomplete suggestions. Expect to see continued innovation and personalization when it comes to users’ searches. Though Seer hasn’t started reporting on keyword rankings differently as a result of this update (yet…), new updates will undoubtedly continue to shake up how we think about keyword rankings and search positions. Seer will continue to monitor these trends and will be writing monthly updates moving forward. Share your SERP feature sightings with us and keep an eye on our blog for future updates!